Webster’s defines warmonger as “one who urges or attempts to stir up war.” Picture the contentious person at your workplace, the argumentative student at school or the critical person in the church–picture that person with political ability on an international scale who loves war. Our past, our present and our future in this world will always have warmongers–those who love war. No matter how hard people try to put an end to human conflict, peace continues to elude our grasp. Why is that? James put his finger on the human reason. Observe what he says in James 4:1-2a, “What is the source of quarrels and conflicts among you? Is not the source your pleasures that wage war in your members? You lust and do not have; so you commit murder. And you are envious and cannot obtain; so you fight and quarrel.” The sin of selfishness is the well from which springs personal, marital, family, church, national and worldwide strife–selfishness. Another reason behind war is the god of this world loves death. Jesus says in John 8:44, “You are of your father the devil, and you want to do the desires of your father. He was a murderer from the beginning, and does not stand in the truth, because there is no truth in him. Whenever he speaks a lie, he speaks from his own nature; for he is a liar, and the father of lies.” There’s a spiritual war going on behind what we see, and the forces of evil desire war because war puts an end to life. Life is created by God and given by God, and life is the only time and place one can turn to Christ for salvation from sin, and the only time one can make a difference for Christ. So the devil hates life, loves murder, and loves war. Sin is so corrupting and spiritual forces in the world are so evil that war is inevitable. There will always be some who love war and use it to fulfill their desires by destroying their enemies. Open your Bibles to Daniel Chapter 11 and take your outline. The second half of this chapter tells us of a coming evil leader named antichrist who in the future is allowed by God to use war to accomplish his purposes, and next week we will discover exactly what he is going to do on earth. The first half of chapter 11 tells us about some men in the past who were allowed by God to threaten war and go to war in order to accomplish God’s purposes. So now look at the first half of Daniel 11 and follow along in your outline as we look at the “A” list of warmongers from the past (Daniel’s future). Chapters 10 to 12 make up the fourth and final vision of Daniel found in the second half of the book of Daniel which is focused on reassuring Israel they have a future. Each of Daniel’s visions has contained a detailed prophetic vision of the immediate future which was about to fall upon Israel, and at some point in each vision, it jumps from near future to distant future. Each one of Daniel’s visions jumps into the eschatological future called the eschaton, which is also our future, describing the final days right before the Lord’s return as Israel repents and turns to Christ. The first half of Daniel 11 describes Israel’s immediate future and the second half of Daniel 11 describes the eschatological future. This final vision started in chapter 10 as Daniel has a troubled heart. Daniel is 85-plus-years-old, the 70-year captivity is over, God’s chastening is finished so the hundreds of thousands of Israelites who were taken captive by Babylon and remain captive by Medo-Persia are now free to return home–so what’s troubling Daniel? Only a fraction of the Israelites return home, Jerusalem remains in disrepair and the temple is in ruins. So Daniel is discouraged by his people and he goes to prayer to find out why things have not turned out the way he expected. What he discovers is sobering. The chastening of Israel is not finished–the nation is going to be purified by persecution, suffering and war. Their lack of passion for the things of God, their unwillingness to return home, their indifference to their key city, and allowing their only place of true worship to remain in ruins is evidence of a people whose heart is far from God. Israel is God’s chosen nation, yet because of their defiance, spurning God’s grace and lovingkindness, God will chasten them. God will and does spank His children. Kids, even though Daddy and Mommy spank you, never forget our heavenly Father spanks your parents. So God will continue chastening Israel thru warmongering described in chapter 11. God will allow coming nations to continue to chasten Israel, verses 1 to 35, and God will allow a coming world ruler to chasten Israel verses 36-45. So the entire chapter makes up the A list of warmongers. 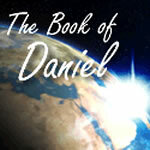 Today we will only look at what is future to Daniel but past to us. As Daniel records these first 35 verses, you have to remember it is all future to Daniel–none of this has happened yet. Today we can look back and see the precise detail fulfilled in these prophecies. There are over one hundred detailed predictions in verses 1 to 35. It is so meticulous and so exact that those who do not believe the Bible is God’s Word call Daniel a liar and assert that some other writer must have written it after these events occurred. So to reject Daniel as authentic means you have to reject Christ too. So verses 1 to 35 in chapter 11 are prophecy to Daniel, but history to us. But even though they deal with the rise and fall of Gentile world powers, they primarily describe God’s chastening of Israel after the 70-year captivity, during the time when Gentile nations are in prominence, used by God to ultimately bring Israel to repentance and turn to Christ as their Savior. Look at the last verse of chapter 10 and the first verse of chapter 11, 10:21, “Yet there is no one who stands firmly with me against these forces except Michael your prince.1 And in the first year of Darius the Mede, I arose to be an encouragement and a protection for him.” Last week we learned that Michael had helped the angel speaking here, when he was opposed by a demon overseeing Persia. Apparently that demon, named the prince of Persia in chapter 10:13, was trying to prevent the return of God’s people to the land of Israel. That demon did not want the decree to be made for Israel’s return. So now in verse 1 it says the angel speaking is encouraging and protecting–it has the idea of fighting, literally strengthening Michael the chief angel. Even though Daniel is troubled by the fact that Israel will continue to suffer until Christ returns and sets up His Kingdom, I am sure it was a comfort to know that his people would be under the protection of God’s holy angels throughout the chastening period. And I find these verses a reminder that anything we do in God’s strength for God’s glory is going to be opposed. Listen, if you’re a genuine Christian and your life is always spiritually comfortable then you’re not attempting to live in the Spirit or do anything for God’s glory. Living by faith demands risk of the unknown and opposition. The moment Israel could go home, the moment the decree is issued releasing Israel from captivity, that decision is opposed by demons. The moment you try to impact lives for Christ, you are going get hit. Try to show and share the Gospel, you will find it hard. Teach God’s Word and expose sound doctrine, you will find resistance. Serve sacrificially behind the scenes for Christ, it is going to be difficult. Just cruising in nice-ville is no threat to the enemy. But pursue God’s will in this world, and you will get some heat. What kind of opposition is Israel going to experience? Who are the A list of warmongers, the enemy A team? Verse 2, “And now I will tell you the truth. Behold, three more kings are going to arise in Persia. Then a fourth will gain far more riches than all of them; as soon as he becomes strong through his riches, he will arouse the whole empire against the realm of Greece.” The angelic messenger told Daniel that Cyrus would be succeeded by four more Medo-Persian kings, the fourth of whom would be wealthier and mightier than the others, and would wage war against the Grecian Empire. We know from the annals of history these rulers were Cambyses, Gaumata, Darius the 1st and finally Xerxes, the very rich and extremely powerful monarch referred to as King Ahasuerus throughout the Book of Esther. Xerxes did launch a great campaign against Greece from 481 to 479 BC with an army he claims of a million men and a navy of thousands of ships. He desperately sought to avenge the humili­ating defeat suffered by his father, Darius I (at the hands of the Greeks during the battle of Marathon). But after being delayed by three hundred Spartans and King Leonidus, Xerxes’ army was defeated north of Athens at Plataea just after his navy was smashed at Salamis. This led to the time of . . .
Alexander conquered the world and wept when there were no more nations to conquer. But he died at 33 and his empire did not go to his descendants. Alexander’s potential heirs were a mentally retarded half-brother, an illegitimate child and a baby born after Alexander’s death, and all three were murdered through political intrigue. So after two decades of assassination and fighting, the Grecian empire was divided up like the four points of the compass to Alexander’s four remaining ruthless generals. But only two of those generals and empires become the focus of verses 5 to 35 because of their geographical proximity to Israel, one on either side, each claiming Israel in between as their own. Right here at verse 5 is where this text becomes a super-specific, detailed technical history, and extremely difficult to preach. The last half of Daniel has been a huge challenge for me. To preach it accurately, clearly and practically has been agonizing. It may not seem it to you, but this is much harder and different than Ephesians. So this morning I need your help to make the text clear. You the congregation are going to represent the three major regions which are the focus of these verses. On my left to the north is Syria, which was left under the control of general Seleucids, or the Seleucid Empire. Say Seleucid. And it will help you to know that many of the Seleucid kings were named Antiochus. On my right to the south is Egypt, which was left under the control of General Ptolemy, or the Ptolemy Empire. Say Ptolemy. In the middle the land in between is Israel, the Jews who returned to the land who were pawns in the politics of the Seleucid and Ptolemy empires and often were caught in the middle of their wars. Say Israel. Egypt, Israel and Syria–Ptolemy, Israel and Seleucid, south, beautiful land, north, Ptolemy, Israelites, Antiochus. Now there are a few more players in this chapter 11 drama. Both Egypt and Syria traded princesses, daughters of kings, given to their opponent as an alliance to maintain peace. And In Israel there were faithful Jews who sought to follow the law, and there were mercenaries, Jewish political schemers who fought for the Seleucids or Ptolemys to get what they wanted. As we study, see if you can identify which New Testament groups formed during this period of time: Zealots, Pharisees and Sadducees? Now read verse 5, “Then the king of the South will grow strong, along with one of his princes who will gain ascendancy over him and obtain dominion; his domain will be a great dominion indeed.” Once the Grecian empire was broken up and ruled by the four generals, initially the Ptolemaic dynasty in Egypt, the south, was more powerful. But as time went on, the Seleucids in Syria, the north, were stronger. To relieve growing tensions between them, they decided they would make an alliance. Carefully read verse 6, “And after some years they will form an alliance, and the daughter of the king of the South will come to the king of the North to carry out a peaceful arrangement. But she will not retain her position of power, nor will he remain with his power, but she will be given up, along with those who brought her in, and the one who sired her, as well as he who supported her in those times.” Berenice, the daughter of Ptolemy II from Egypt south right was given in marriage to Antiochus II, the grandson of Seleucid in Syria. Unfortunately Antiochus II was already married, so he divorced his wife Laodice and went ahead with the marriage to Berenice in 250 BC. The marriage didn’t produce any peace and was merely political. Verse 7 then predicts back in Egypt in the south right Berenice’s brother, Ptolemy III, now the king of Egypt at the time of Berenice’s murder, sought to avenge his sister’s death by attacking and defeating Syria. And exactly as the Word of God predicts in verse 8, Egypt defeats Syria and he takes all the precious metal idols of Syria back to Egypt right with him. Now this leads us to the next A list past warmonger. Verses 9 to 10, Now that Egypt in the south has beaten Syria in the north, now the Ptolemys in Egypt/south/right control Israel. It’s like having a neighbor to the right and a neighbor to your left who keep fighting each other with you in between. Every time they go after each other they have to go through your yard. It’s like trying to break up a hockey fight–you’re gonna get hit. Except each time Egypt and Syria come through Israel’s yard, they now become your new government. You have to pay taxes to them, you can be enslaved to them, you’re raising crops for them, you have to support them or you will be tortured and killed by them. Now in Syria/left scorned and vengeful, Laodice has a son, Seleucus II who then has two sons and they all hate Egypt and want to destroy it. One son dies but the other is named Antiochus III the Great. He eventually becomes King of Syria in the north/left and immediately raises an army of 75,000 soldiers and leads them through Israel on his way to destroy Egypt–he has grandma Laodice’s anger. Verses 11 to 12, “But Ptolemy IV, king of Egypt in the south/right raises 70,000 soldiers, 5000 cavalry and 73 elephants to battle against Syria and beats Antiochus the Great, which makes Antiochus the Great even madder–he retreats back to Syria to get ready for round two. Verses 13 to 15 thirteen years later, Antiochus the Great of Syria in the north/left and returns to fight Ptolemy in Egypt in the south/right. Notice verse 14, he is assisted by “violent ones”, or robbers. This word literally means “sons of breaking.” These are violent Jews (Zealots) who broke the law–mercenary apostates who thought that by aiding Syria and Antiochus, he would later give the Jewish nation their freedom. But the end of verse 14 says, “They will fall down.” The angel tells Daniel that their goal will fail. The Jewish warriors will be treated well, but the nation will not get her freedom–they will still be the pawn of Egypt or Syria, whoever wins. Her name is Cleopatra (sadly not the famous one who hung with Julius Caesar and Mark Anthony, but probably the reason why the name stuck). Antiochus the Great from Syria north/left wanted his daughter Cleopatra to spy on Ptolemy in Egypt south/right as he battled his way closer to his goal (verse 17 says corrupting her or ruin it, referring to her spying) but the end of verse 17 says, “But she will not take a stand for him or be on his side.” She wouldn’t spy on her husband for her dad–she loved her husband Ptolemy more than her father Antiochus. Amen! This made her father Antiochus even angrier. Don’t miss this–as Antiochus battles toward Egypt, his success has placed Israel now under his control, under the control of Syria/left. Look at verse 18, once Antiochus the great of Syria/left had control of Israel, then in order to gain a solid position before he attacks Egypt, he goes after the coastlands, the islands of the Mediterranean and Greece. But in verse 18, Rome was now growing strong and wanted those areas for themselves. So Antiochus the Great warred against Rome for control of those regions and suffered a cata­strophic defeat by the Roman army at the Battle of Magnesia in 190 BC (famous for their milk). As a result of this defeat he had to pay a huge tribute to Rome annually, which put him in disfavor with his own people. So in verse 19 Antiochus the Great had to return home and was immediately murdered—they did not like taxes. As you look at all this don’t forget this is all precise, detailed, meticulous prophecy–this has not happened yet. Antiochus’s son replaces the Great back in Syria and was forced to raise taxes to pay Rome an annual fee for injuries caused by his father’s war with Rome. Then verse 20 says the son was assassinated by his prime minister in 176 BC, which results in the worst warmonger of this past A list. He solidifies his rule in Syria by being a Robin Hood, despoiling the rich and distributing gifts to the poor, a very familiar economic strategy. Then he made his move–he already has control of Israel so Antiochus Epiphanes of Syria in the north/left, bribes the counselors of Ptolemy in the south/right. Look at the end of verse 25, “But he will not stand, for schemes will be devised against him.” Because Antiochus has Ptolemy’s counselors in his back pocket he achieves a great military victory over Egypt and its boy king, ruler Ptolemy VI. Verse 27 describes how following this war they sat down at peace talks to lie to each other and make a worthless treaty. This is my favorite verse on international politics. Now what Antiochus Epiphanes doesn’t know is Ptolemy VI, boy king of Egypt has secretly asked for Rome’s help. Roman representatives arrive on the scene and tell Antiochus to leave Egypt and Ptolemy alone or else he will face Roman armies. Antiochus Epiphanes was once in Roman custody–he knows how easily Rome defeated Antiochus the Great and knows how paying the tribute to Rome led to his father’s assassination, so Antiochus does leave but is so angry at being outmaneuvered and robbed of his victory and spoils as he leaves to go back through Israel, verse 28, he sacks Jerusalem killing many and causing great suffering. Verses 29 and 30–After returning home to Syria/left Antiochus Epiphanes can’t stand what has happened, so he comes back to conquer Egypt, but this time ships from Rome (verse 30 calls them the ships from Kittim) have arrived in Egypt and their very presence, with Roman troops, stops Antiochus from attacking Egypt or Ptolemy. The Roman captain tells Antiochus Epiphanes to stop or he is dead. But this ends up bad for everyone but Rome. Ptolemy of Egypt South/right never fully got rid of Rome after that. Antiochus Epiphanes of Syria left Egypt forever but was so incensed he poured out his anger and frustration against Israel as he traveled back through the land in between back to his home in Syria. Verse 30 says Antiochus is enraged–Hebrew means outward cursing, literally fury. Ever seen someone so angry they are out of control? That is Antiochus Epiphanes, and now he is going to show his rage against a people who have resisted his way of life. He can’t stop Ptolemy in Egypt because he can’t stop Rome, but he thinks he can stop Israel from resisting his rule since they are under his governance. Israel has no formal army, they have no relationship to Rome, but they’re under his rule. So he thinks they should start acting like it. They don’t worship his gods, they don’t speak his language, they don’t follow his ways, nor have they adapted to his culture. And if he is ever going to battle Rome, Antiochus must have a unified kingdom where everyone works together the same. What Antiochus Epiphanes did is predicted by the angel to Daniel in verses 31-35. Look at verse 31, “And forces from him will arise, desecrate the sanctuary fortress, and do away with the regular sacrifice. And they will set up the abomination of desolation.” In Jerusalem, Antiochus placed guards around the temple to prevent worship. On a single Sabbath, he slaughtered all the women and children who showed up for worship. He held Greek games with their naked athletes in full view of the temple area. He set up a statue of the chief of the Greek gods, Zeus in the temple and sacrificed a pig to Zeus, sprayed the blood over the entire temple area and forced the priests to eat the pork. In verse 32 some Jewish Hellenistic secular mercenaries actually supported Antiochus. “And by smooth words he will turn to godlessness those who act wickedly toward the covenant, but the people who know their God will display strength and take action.” Those who knew their God, the faithful believing Jews, would do great exploits against Antiochus Epiphanes. Judas Maccabeus and other zealots revolted–many died, but eventually the Jewish Zealots won a temporary freedom from Syria and Egypt. Israel remained free for about one hundred years. But about sixty years before Jesus was born, Israel felt they needed to ask Rome for some help. Rome came to their aid but then never left, and just like that Israel fell under Roman rule preparing for the coming of Christ and the spreading of the Gospel, which leads to . . .
What is he like, what will he do, and do we see his future taking shape today? Think about what you have seen today from God’s Word. Daniel 11 is God using bad politics and evil people to accomplish His purposes. The same thing is happening today in our nation and state, and the same thing is happening in your life. Only Christians can claim to live by Romans 8:28, “And we know that God causes all things to work together for good to those who love God, to those who are called according to His purpose.” Are you trusting Him to be working through your trial, test? 2 Many New Testament groups were formed during this period–which one are you most like and why? The Zealots, those mercenaries who fought for national freedom, began during this time and continued to fight against Rome. One of Jesus’ disciples, Simon, was a Zealot and they were extremist in every sense. They interpreted the law literally but were violent outlaws. They believed God alone should rule the Jews and thought they were doing God’s work by killing their political overseers. The Pharisees were those mentioned who were faithful to God during this time. They were the law-following fundamentalists, therefore were slaughtered by Antiochus Epiphanes because they would not compromise God’s Word. It was only later that their beliefs became more and more external and legalistic. The Sadducees were the rich and powerful religious liberals who sought to compromise with the Ptolemys, the Seleucids or the Romans in order to keep the peace. And the Essenes were those who isolated themselves from the religious and secular and had no impact on anyone ever. All these groups started during this period and you can see from this history how they came to behave the way they did in the Gospels. So today as you leave ask three close Christians which group you would belong to today, and what is good and bad about your bent? 3 Discipline is different than punishment–what area of life might God spank you over? What was so difficult for Daniel was to realize that Israel’s chastisement was not going to end after the 70-year captivity. They would continue to be spanked throughout history until the time of the Gentiles, or Gentile nation rule over Israel would be finished. The great blessing about being a genuine child of God is this: you will never be punished by God—never. All the punishment that was due to you fell fully and completely, past, present and future upon Jesus Christ on the cross. God does spank His children so that they may glorify God by walking in dependent obedience. So how can I tell if I am being punished or disciplined? If you’re a Christian, a part of God’s family, then it’s discipline. If you’re an unbeliever, then your trial is punishment and a foretaste of what’s coming. But the difference is, for you Christians, it is correction not condemnation. It’s discipline, not damnation. Ask yourself, in what area of my life am I not living according to the Word of God? What steps will you take this week to return to following Christ in that area? The God of the Bible is not limited by time, lack of knowledge, inability, being unaware, lack of power or lack of control. God knows what’s going to happen on the world scene and in your life. Do you trust Him with His promises to you? Are you resting in His Word and are you following His directions? Today what one promise do you need to keep in front of you in order to trust God over an area which is concerning you? Find that promise before you leave today and lean on it this week. Ask some leaders or friends about where to find the verse related to your struggle. 5 Evaluate your opposition level–are you getting heat? All those who seek to show and share the Gospel of Jesus Christ to a needy and lost world are going to be opposed. Ask yourself honestly, is there any opposition to you at work, in your neighborhood, at your school, with your non-Christian family? If not, you’re not being a witness. Ask the Lord to give you wisdom and Spirit-filled courage to speak the truth, regardless of the consequences. Turn to Christ today–let’s pray. God did the work and you must depend upon Him alone to be forgiven and to be transformed from the inside out.